“We’re living the dream,” say Darren and Wendy Howarter about their new life in the city of Medellín, Colombia. But, just six years ago, they never imagined that this higher standard of living (at a dramatically lower cost) was possible. For 23 years, Darren (50) and Wendy (49) lived in the town of Oregon, Illinois—population: 4,000. Darren worked in the wine industry while Wendy was an attorney, spending 60 hours a week on tough litigation and divorce cases. On one hand, they had everything they’d wished for in life: their dream home on a wooded acre, in a close-knit community where there was always a friend ready to help. Finding a more comfortable climate was their top priority. But they also wanted to ensure they kept a high standard of living. So, they took to researching alternative places to live—with less extreme seasons—within the borders of the United States. It didn’t take long for the couple to realize that moving to a sunnier spot in the United States, where they could buy or build a new dream home, was going to be an expensive undertaking. That’s when they decided to take a look at their options overseas. After connecting with our Live and Invest Overseas staff, and taking our recommendations on board, Darren and Wendy narrowed their list down to three countries: Belize, Ecuador, and Colombia—all places that offered options of warm temperatures and year-round sunshine. They used their vacation time from work to check out each of their favorite locations—spending time on the ground, not as tourists but as locals. They rented an apartment, shopped at farmer’s markets, cooked their own meals, and got a real taste of what their new life could be like. Leaving behind their small community in Illinois, Darren and Wendy worried that they would be lost without their friends. But they found, once they took the brave leap, that others out there took an interest in them and came forward to offer help with their move. Medellín is the place that finally won their hearts over—for its people who welcomed them in so warmly… for the year-round, spring-like temperatures… and, for the high standard of living they are able to enjoy at a much lower cost than they had back in Illinois. After renting a place for the first year, the couple has just recently bought their own two-bed/two-and-a-half-bath apartment in sophisticated El Poblado—a favorite neighborhood among expats. With a private spacious balcony, and a pool and gym on the complex, it cost them just $130,000. Like hundreds of readers I hear from, you may be thinking, I can’t afford to move overseas! What about my income? So, let me back up a little and tell you that Darren and Wendy had these challenges, too. When they started to explore their options overseas, they were in their mid 40s. They both had their careers to think of… and they needed to figure out how, if they walked out on their secure jobs, they could still pay their bills and enjoy a good lifestyle in a new place. How did they manage to pull it off? How did they swap their 60-hour work week (and months of snow) for the good life in a city of eternal spring? 1. Find a place where you can enjoy a far better quality of life—at a much lower cost. In Medellín, Darren and Wendy have dramatically cut their costs. Here, you can buy a week’s worth of fruit, vegetables, and eggs—all organic and fresh from the farmer’s market—for about $15. You can catch a movie for $3… get your teeth cleaned at a highly modern dentist office for $30… ride the pristine metro across the city for 70 cents… and rent an apartment in a nice neighborhood for $450 a month. In fact, you can live a sophisticated lifestyle here for as little as $1,750 a month (for a couple). 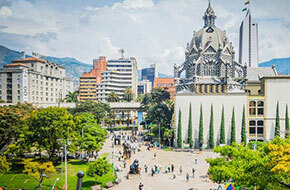 Of course, Medellín is but one of dozens of options for a low cost of living. I’ll tell you about more great lifestyle opportunities in a moment. 2. Find a way to continue to earn an income (with a lot less effort). Soon after landing in Medellín and packing in her 60-hour work week as an attorney, Wendy took an online travel-writing course and is now being paid to write articles about life in her newly adopted home. Meanwhile, Darren—who used to work in the wine industry and as a financial consultant—trades the stock market. They both work from their apartment—no commute to worry about and no boss to answer to. Their schedule is completely flexible… allowing them the time they need to enjoy this new adventure together. Darren has more time to run and brush up on his Spanish skills, while Wendy is capturing all the wonders of her new home with her camera (another potential source of income, by the way). “We’re enjoying a semi-retirement lifestyle years before I imagined we’d be able to and a standard of living we wouldn’t be able to afford otherwise,” says Wendy. Wendy and Darren aren’t alone, of course. Some 250,000 citizens leave the United States behind every year. And for reasons other than climate. Wherever you’re living now, you may never have to shovel snow. Maybe you want to do this part of the year… or maybe you’re looking to take the leap to full-time living in another country. Whatever your circumstances, I can tell you there’s a place overseas to suit you—and a way that you can make it all happen. And I’d like to help you figure it all out. That’s why I’m inviting you today to try our monthly Overseas Living Letter. You’ll understand that we can only give so much away in our free daily dispatches. My e-letter is best suited to those readers at the beginning of their journey who may be just toying with the idea of living or investing overseas. But, in the pages of our online Overseas Living Letter, we seriously up our game to take you to the next level. Every issue of Overseas Living Letter comes from our correspondents who are living—or have spent extended time on the ground—in these locations that offer a top quality of life. This is no glossy-coated travel magazine. 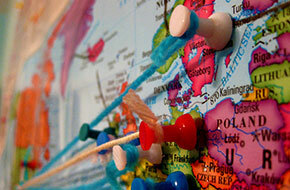 Our well-heeled experts and expats will give you the full lowdown on a destination. Because no place in the world is without its faults, we want to fully prepare you for what to expect… so you get to settle in with ease (and less surprises). 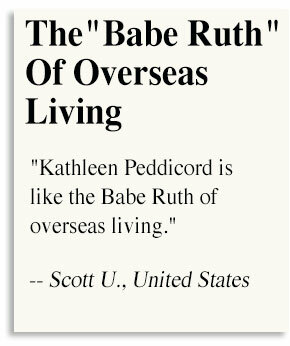 Again, my name is Kathleen Peddicord. 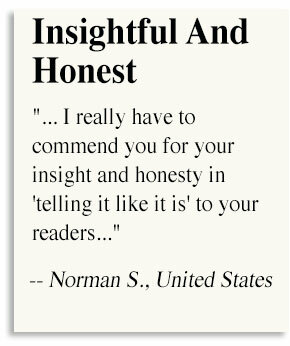 For more than 30 years, I have been exploring the world for fun and profit—and reporting back about my discoveries for hundreds of thousands of readers. Most recently, my husband Lief Simon and I have returned to Parisian life. Now we divide our time between France and Panama. In total, I have traveled to more than 75 countries, invested in real estate in 24, established businesses in 7, and renovated properties in 6. I’m interviewed and quoted regularly by The New York Times, Money magazine, CNN, and beyond, and I think it’s fair to say that I am considered the world’s most well-respected authority on overseas living and retirement. 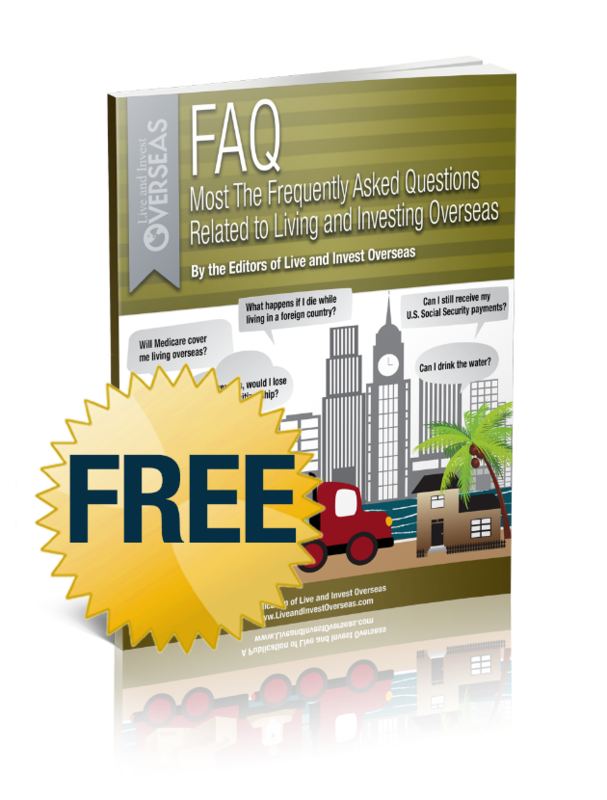 I have written several books on these topics… including the brand-new edition of “How To Retire Overseas” that I would like to send you free today. If you’ve been desperately spinning the globe or trying to research potential countries on the Internet, but coming away with more questions than answers, then you should find things get a whole lot easier when you start to read Overseas Living Letter. First of all, our team of editors and far-flung writers doesn’t attempt to cover the whole world. Frankly, we’re only interested in places where you could maintain a high standard of living, enjoy a great quality of life, and, in many cases, reduce your day-to-day living costs. Because of this careful selection process, we tend to have around 20 top countries on our radar at any one time. But, of course, it’s not about the country. We would never send you an issue on “Panama,” for example, but we may tell you about the beach town of Coronado… the city neighborhood of El Cangrejo… or Panama’s “wild west” on the Azuero Sunset Coast. That’s why, in Overseas Living Letter, you’ll read about individual city neighborhoods… beach communities… quiet fishing villages… right down to the best street to live on. Colombia’s undiscovered second “City of Eternal Spring,” Pereira has stunning scenery, an abundance of natural resources, and plenty of opportunity for hiking, photography, horseback riding, and more. 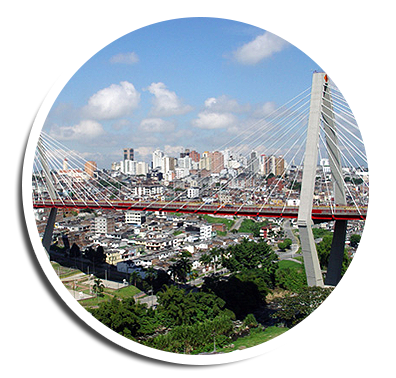 Just like Medellín (Darren and Wendy’s home), Pereira is a city set in the mountains… but costs here are as much as 20% to 25% less than Medellín. A couple can live a good life here from $1,033 a month. 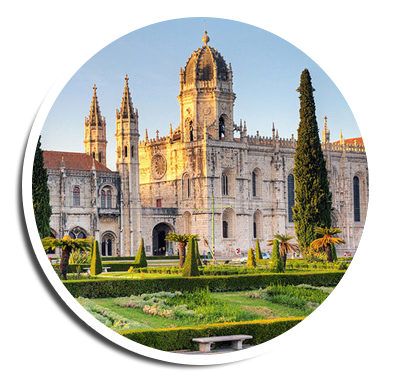 The sophisticated and sunny city of Lisbon, Portugal, renowned for its warm hospitality, friendly atmosphere, and for having one of the lowest costs of living in Western Europe. It also has an established expat population (mostly British), and English is the second most spoken language (most people speak at least a little). Monthly budget for a couple starts at $2,646. Belize’s Ambergris Caye with its pristine white-sand beaches, turquoise waters, and the second-longest coral reef in the world. 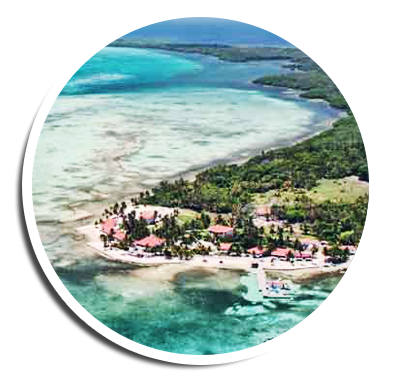 Here, where apartments start at around $125,000, you can also enjoy the highest standard of living in Belize and be part of a vibrant, English-speaking, tropical island community from $1,998. 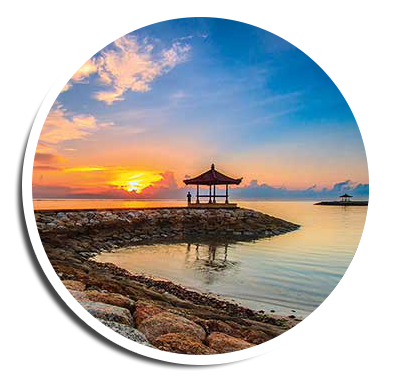 The small beach-town of Sanur on the island of Bali, Indonesia is a classic tropical paradise with blue skies and starry nights that most tourists never discover. Few places offer more diverse cultural and outdoor activities, stunning beauty, and gracious hospitality than this little island where a couple can live the good life from $1,700 a month. 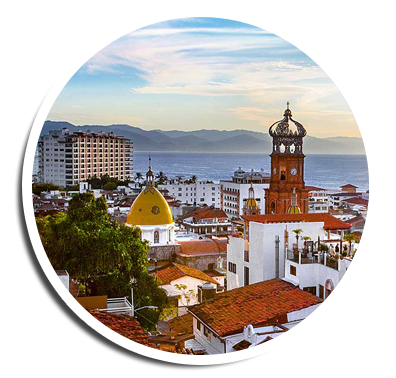 Puerta Vallarta, Mexico sitting in a prime location at the foot of the Sierra Madre Mountains and on the Bay of Banderas—the largest Pacific bay between San Francisco and Panama. Although the population of PV is about 250,000, Old Town and the nearby Zona Romantica still hold the quaint charm of a Mexican village. A couple could live really well here on $1,467 a month. Valencia, Spain—with an average temperature of around 70°F year round, Valencia has perfect weather conditions for an active, healthy, and varied lifestyle. 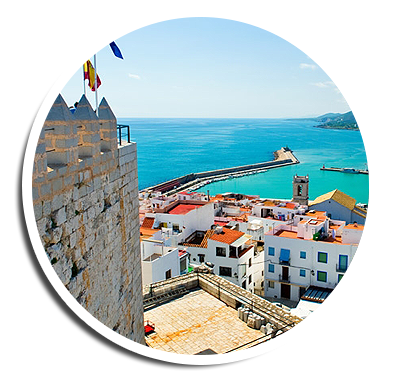 This part of the Western Mediterranean has some of the finest beaches in southern Europe. The ski-slopes of Andorra are under a five-hour drive, and the rock of Gibraltar is also within easy reach. Enjoy the best of Spanish living here from $1,387 a month. 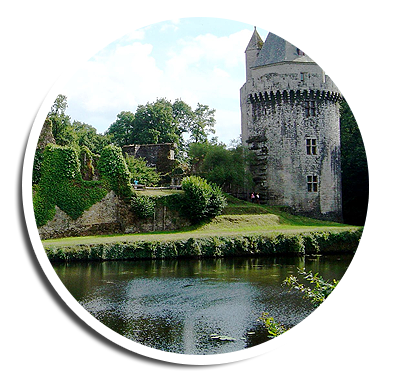 France’s Morbihan province—with its ease of access from Paris and a number of other European cities, this province in south-central Brittany is one of the best opportunities to live la vie française… affordably. Its highlights include sandy beaches, rocky coastline, beautiful islands, an alluring gulf, rivers and estuaries, medieval villages, and enchanting forests. You could live well here from $1,241. If it were simply a matter of uncovering your ideal destination, you may have done this by yourself a long time ago. What you need is to arm yourself with the information you need to make your move—and a network of support to help you through each stage. 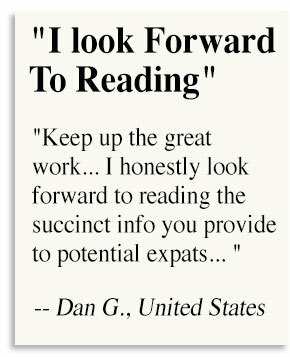 That’s why each issue of Overseas Living Letter is also heavy on practical information… and contact details for all the experts, both stateside and on the ground, who can help you step-by-step through your move. Darren and Wendy Howarter tried out three destinations before deciding on the one to call home. You can do this, too. And, when you do, you’ll have your Overseas Living Letter to guide you—and to refer back to—when you need something around town. Our writers also make short video clips to give you a “fly on the wall” look around town. Peek down the side streets of the best neighborhoods… take a ride on the metro… soak up the atmosphere of the town festival… all without the cost of an airfare. Sometimes, they’ll record their interviews with expats, too. It’s invaluable to hear these personal stories of people changing their lives for the better in a new place. Many of them have found creative ways of making money, too. Once you start to think about a new life overseas, sooner or later, thoughts come around to money. And, from three decades of talking to live-overseas hopefuls, I can tell you that, more than any other fear, financial worry is what stops many a would-be expat in his tracks. True, it’s not always easy to find a job overseas. But you have plenty of opportunity to create an income stream for yourself. Or, of course, some combination of the above. We’ll cover specific opportunities, and share some real-life stories of people paying their way in their new life overseas, in Overseas Living Letter each month. But, to get you thinking about your own direction… and what interests or skills you have that you could be putting to good use… I’d like to send you two brand-new reports our team has just prepared. Inside, you’ll read about gigs like travel writing and photography… copywriting… import/export, and more. All of these can be done from anywhere in the world, of course, with little to nothing in terms of seed capital. And, you can get started long before you leave home. If you’ve always thought you’d like the opportunity to be your own boss, on your own schedule, free to work from your kitchen table, your local café, a hammock by the beach… as little or as much as you wish… you’ll find your best options in Bonus Report #1: Five Fun Ways To Get Paid To Travel (Working As Little As 3 Hours A Week). And here’s a quick tip: If you want maximum return for minimum effort, skip straight to the section on import/export (that’s Chapter Four). It’s one of the easiest ways to generate a healthy income (as much as $5,000, $10,000, or even more) with as little as three hours of your time a week (you don’t even have to handle or store products to make a profit). Now, maybe you have some savings to give you a good start in your new home—and you’d prefer to take things a little easier when you go overseas… without having to think about work. But you’d welcome the opportunity to grow your nest egg—and give you the cash flow you need to enjoy more of the good life you moved halfway across the world to experience. Diversifying and growing your investment portfolio is critical to securing your future (and that of your loved ones) and crucial to peace of mind as you move toward retirement. It’s never too late… or too early… to get started. Again, these two reports are brand new—never before seen by any other readers—and we’re making them exclusive to our Overseas Living Letter readers only. As I’ve explained, Overseas Living Letter brings you up close and personal with a different overseas-living haven each month. From time to time, we’ll draw rough comparisons with other places… but we won’t formally measure one place up, category by category, against another. That, dear reader, is where your Annual Overseas Retirement Index comes in. Each year, this in-depth report ranks and rates our top 30 (or so) live-overseas havens… in terms of their cost of living, quality of life, ease of doing business, standard of infrastructure, language barrier, health care, property costs, and more. Again, this is to help give you the big picture and narrow your focus. You’ve probably seen surveys of the countries of the world ranked and rated in these terms before… from the likes of The Economist, Mercer, OECD, etc. Our Annual Overseas Retirement Index is different to the rest. At Live and Invest Overseas, we don’t pretend to be statisticians. In fact, we care less about the numbers and more about what it really feels like to be on the ground in a place… to wake up there every day and go about your business. 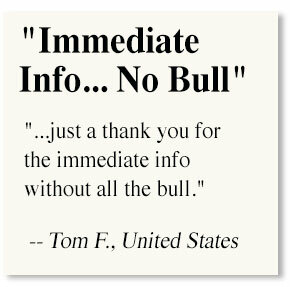 So, when we prepare our index, we take into consideration all the recently published facts and figures… and, on top of that, we apply our own gut feelings and insider knowledge. 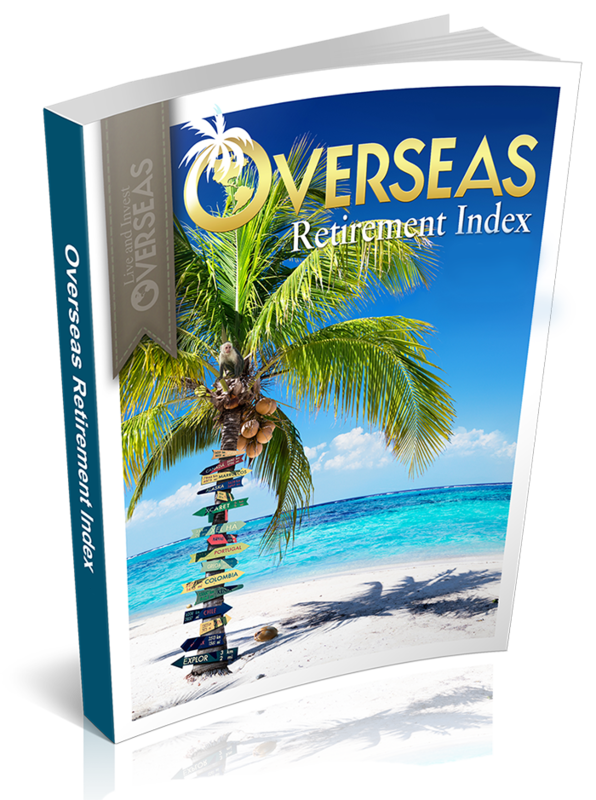 My editorial team has worked hard, and reached out to correspondents far and wide, to compile our Overseas Retirement Index. And, when you subscribe to Overseas Living Letter, you’ll get access to it right away. Even more, you’ll be the first to access the 2019 Overseas Retirement Index and its findings as soon as it’s ready. Overseas Living Letter—once a month, delivered to your inbox—featuring an individual overseas-living haven worth your consideration right now. Bonus Report #1: Five Fun Ways To Get Paid To Travel (Working As Little As 3 Hours A Week). Value: $29.95. Yours free. 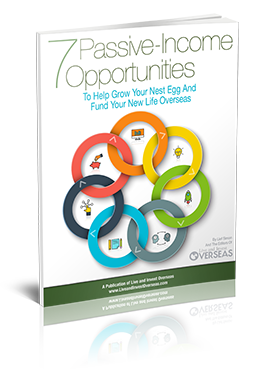 Bonus Report #2: 7 Passive Income Opportunities To Help Grow Your Nest Egg And Fund Your New Life Overseas. Value: $39.95. Yours free. Discount on Live and Invest Overseas events. As a subscriber to Overseas Living Letter, we’ll take $50 off the cost of registration for any of our events. This discount can be applied more than once—whenever you wish to join us… and as long as you remain a subscriber. Again, all these can be yours, just for giving Overseas Living Letter a try. A subscription to Overseas Living Letter usually costs $72 for a full year. But you won’t pay anything near $72. If you agree to come on board and try out Overseas Living Letter today, we’ll slash 50% off your subscription, so the cost to you is just $36. Think about it: $36 breaks down to just $3 per issue. A pittance considering the amount of information we pack in every newsletter. And, you have nothing to lose. If you feel that, after reading your first issue of Overseas Living Letter, this publication is not for you—and you contact us within 30 days of first subscribing—we’ll refund your subscription fee. No questions asked. And, you get to keep your bonus reports (a combined $118.90 value). A two-year subscription, by the way, means you’ll get 24 issues of Overseas Living Letter to your inbox…including two Annual Overseas Retirement Index bumper reports… along with your two bonus reports. A two-year membership would normally cost $152. But, by signing up during this discount period, you’ll pay just $63 for two years… in other words, $2.60 per issue. If you take me up on this deal, you save nearly 60%… and get to stay with us through a full 24 months of discovery and opportunity. Sooner or later, though, the “stumbling-block” questions set in. Questions start to spring from everywhere. I’ll send you this brand-new report immediately when you sign up for 24 issues of my Overseas Living Letter. I started this letter with Darren and Wendy’s inspiring story. Now there’s no reason that you can’t follow in their footsteps… and find your own piece of paradise overseas. It really is as simple as deciding to take action. The first step is to inform yourself of where in the world makes sense for you… followed closely by how you can make it all happen. all)… and, importantly, how you can pay for your new adventure. This is where Overseas Living Letter fills the gap. This is your chance to finally figure out how and where you can have the lifestyle of your dreams… and to do it at the best price we’ll ever offer. Just wait until you see what my team has in store for you over the coming months. P.S. 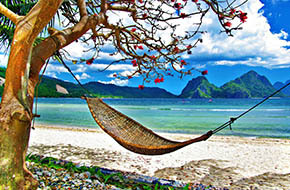 While you await delivery of your first Overseas Living Letter to your email inbox, you’ll have immediate access to your two free bonus reports: Bonus Report #1: Five Fun Ways To Get Paid To Travel (Working As Little As 3 Hours A Week) and Bonus Report #2: 7 Passive Income Opportunities To Help Grow Your Nest Egg And Fund Your New Life Overseas. Once you start to flip through these reports, you’ll see just how you can achieve your dream of the good life overseas… on any budget.